Open 7 Days 'till "Midnight" CST. 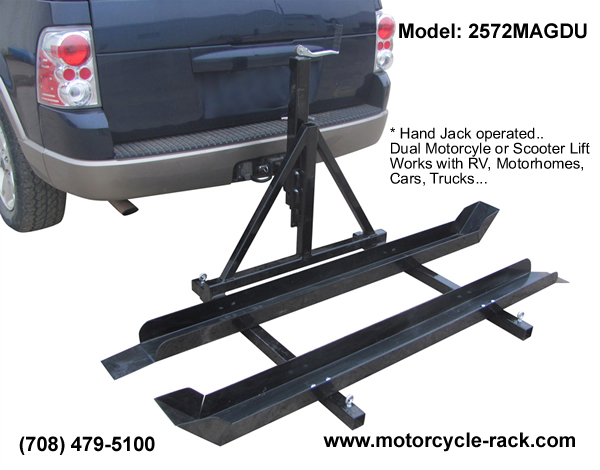 $749.95 Manual lift with (1) 80" X 6" carrier rail and 18" of Lift. * Class 3 Receiver Required. 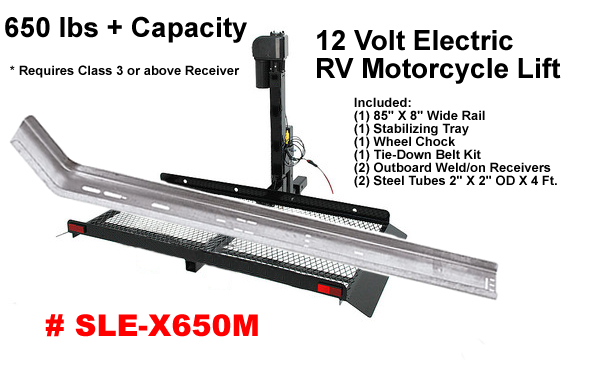 * Dual Rail Trailer available, but total weight limit is still 500 lbs. capacity. * Intended use is to carry (2) smaller scooters. 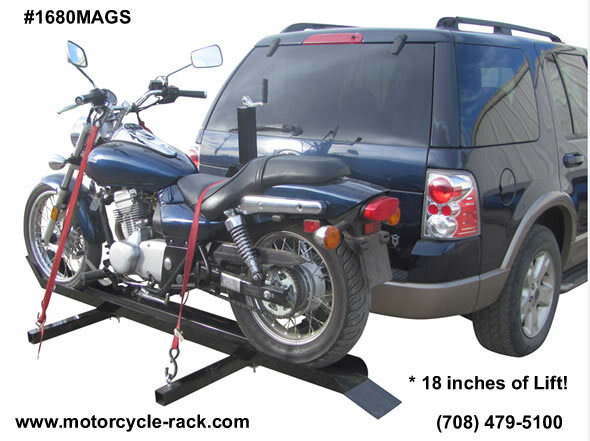 $849.95 Manual lift with (2) 72 " X 5 " carrier rails and 18" of Lift. * Class 3 Receiver Required. 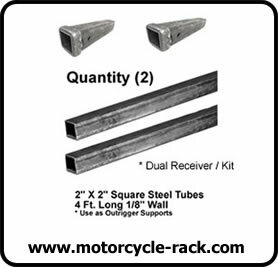 $169.95 + (S&H) 12 inch Extension * Class 3 Receiver Required. 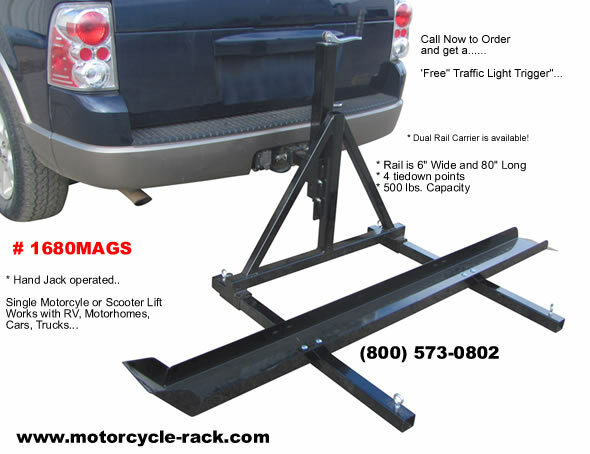 Dual Receiver Kit: Increase your capacity and provide a more sturdy (3) point mounting. Easiest lift to use, if your budget allows, with one finger operation! Click on picture above for more info! * Allows anyone, "alone" [ Shoulder problems or arthritis? ] to take a Scooter or Motorcycle along!